Gideon Levy finds it impossible not to wonder: How did one journalist – and not the country’s most widely read or most widely distributed – become an object of such rage and hatred? It was four years ago. 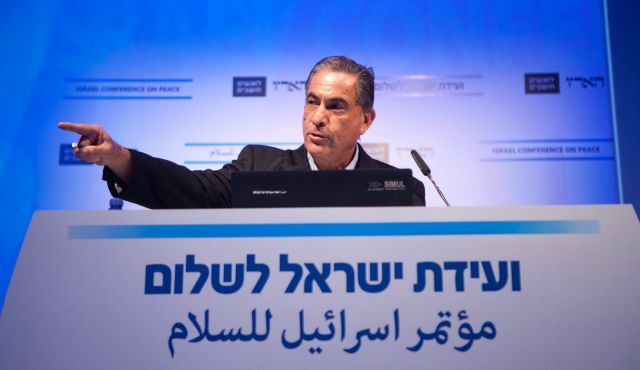 The British newspaper The Independent published an interview under the title: “Is Gideon Levy the most hated man in Israel or just the most heroic?” The question was groundless – I wasn’t the most hated, and certainly not the most heroic. In the summer of 2014 the answer would be more succinct – I’m the most hated, second only to Khaled Meshal. Unpleasant, but not too terrible, at this point. The narrator must not become the story; a journalist is always the means, not the end. And yet, it’s impossible to ignore the troubling question: How did one journalist – and not the most widely read or the most widely distributed – become an object of such rage and hatred? How is one small cracked mirror, a tiny pocket flashlight, capable of evoking so much fury? How is it that one voice made so many Israelis, from left and right, north and south, blow their top? It can only be that even the last of the inciters are conscientious people. They too feel, apparently, that something is burning under their feet, under the rugs of justifications and defenses they laid for themselves. Otherwise, why are they seething with such rage? And why are they no longer sure they’re in the right? The truth is, I’m very proud of what I wrote in this wretched war and I’m ashamed of the responses – which said more about Israeli society than they did about anything I wrote. It’s a society that is denying itself to death, fleeing from the news and lying to itself in its propaganda and its hatred. For the average Israeli, who has become accustomed to blame the Arabs and the whole world for all his country’s wrongs, it was too much, certainly at a time of war. I thought it was my duty to express my sentiments in real time, in the time of truth. I knew it wouldn’t make much difference, but I felt the things had to be said. The absolute majority of Israelis thought otherwise. They thought that comparing between the blood of Israelis and Palestinians is a sin. That feeling dismay is treason, compassion is heresy and that placing responsibility is an inexpiable crime. Well, dear friends, history has proved long ago that the brainwashed majority isn’t always right, certainly not when it falls on the negligible minority with such ferocious aggression. I’ve been covering the Israeli occupation for some 30 years. I’ve seen possibly more occupation than any other Israeli (excluding Amira Hass). That’s my original sin. That is also what forged my awareness more than anything else. I’ve heard all the lies, seen the ongoing injustices from point-blank range. Now they’ve reached another of their ignoble nadirs in this damned war. That’s what I’ve written about and that’s what Haaretz reported, thus becoming another target of hatred. It wasn’t only our right; it was our professional obligation. The spiteful looks in the street, the curses and attacks have made no difference. Nor will they. The thuggish right wing, the complacent, indifferent, doubt-free center, even the always smug so-called left, which claimed that I was “ruining the left,” all joined in one shrill choir, proving that the differences between them are smaller than they had appeared. There were enough people who wrote and spoke, ad nauseam, about Israel’s right of way, which is always absolute and about the Jewish victim, which is the only victim in the world. I wanted to say something else as well – and the majority opinion almost went berserk. So let them get angry, let them hate me, let them attack and ostracize me – I’ll go on doing my thing.